Through our We Teach, You Teach, We CoTeachSM options, Mizzou K-12 is able to offer unique solutions to schools. We work with schools around the globe, bringing customized educational solutions to meet student and district needs. The University of Missouri High School is fully accredited through AdvancED and the North Central Association Commission on Accreditation and School Improvement (NCA CASI). Schools and districts love to partner with us to offer their students a broader range of enrichment, elective, Advanced Placement, honors, and world language options. Our award-winning courses are designed to meet high academic standards (including National and Common Core standards). Our courses are developed by certified educators and University of Missouri faculty. Students may take our classes independently, or schools can set up blended resource rooms for groups of students to work through our coursework with the encouragement and supervision of a classroom teacher or school professional. This blended resource room model is growing across our school partnerships. Our content is available to supplement your existing curriculum. With our “you teach” options, schools, districts, and teachers may purchase a license to our curriculum to use for your own educational purposes. 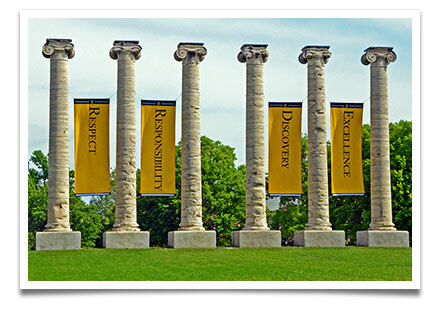 Our CoTeachSM method offers schools an innovative opportunity to partner directly with Mizzou’s College of Education. Through our CoTeachSM courses, classroom teachers at your schools collaborate directly with university teachers at Mizzou K-12, giving students a dynamic blended learning experience. Our CoTeachSM courses are uniquely designed to utilize the talents and collaborative potential of both classroom teachers and our university (online teachers). The CoTeachSM Method is our fastest growing partnership option for schools and districts, as it pairs the best of face-to-face instruction with the best in online education. Explore our rich course catalog using our Find a Course tool. Please contact us at +1 (855) 256-4975 or mizzouk12online@missouri.edu with any questions you might have about working with us. Depending on your school and/or district’s needs, bulk enrollment incentives are available.